David Yurman pendant from the Albion® Collection. Polished sterling silver bale and bezel setting. Faceted prasiolite cushion center. Approx. 0.8"H (20mm). Please note: pendant only, chain sold separately. David Yurman necklace from the DY Crossover® Collection. Polished sterling silver chain and hardware. Interlocking rings with white diamond pavé. 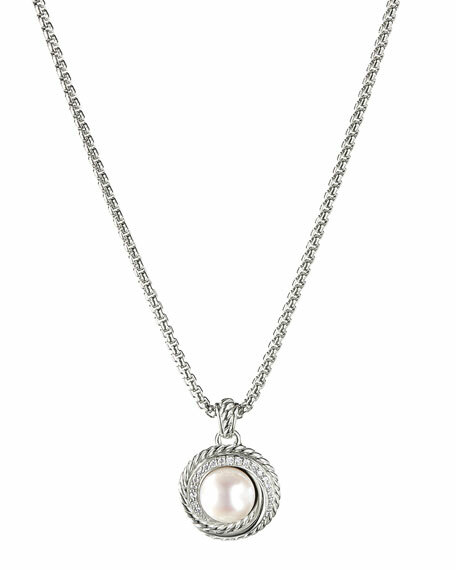 David Yurman necklace from the DY Crossover® Collection. Polished sterling silver chain and hardware. Interlocking rings with white diamond pavé. Approx. 17-18"L; 21mm wide pendant. 0.28 total diamond carat weight. Lobster clasp. Made in USA. 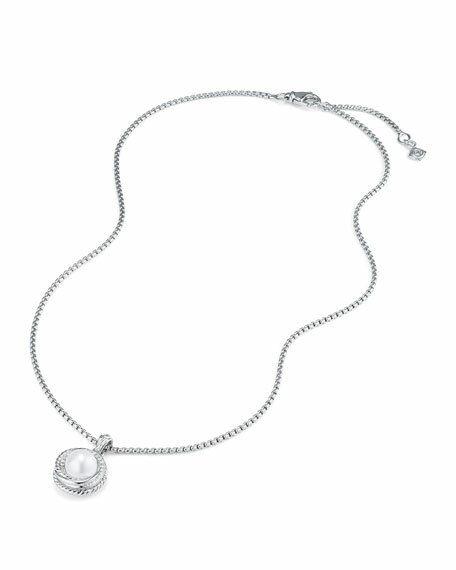 David Yurman necklace from the Helena Collection. Sterling silver box chain. Twisted open circle pendant. 18-karat gold wrap with white diamonds. 0.26 total diamond carat weight. Approx. 16–18"L; pendant, 0.8"D. Lobster clasp with two length settings.